Home » CM Blog » Blogging » How Long Should My Blog Be? 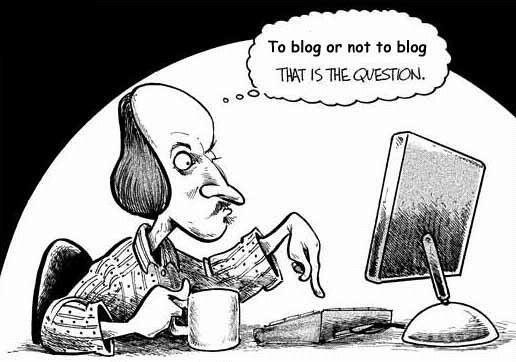 What is the proper length for a blog? I hear this a lot. It’s a good question. The answer of course, varies. Many people are blogging now. It’s simple and easy to start, and we all have a lot to say. But how long your blog should be is up to you and what you want to do with it. Should my blogs be longer? Should my blogs be shorter? The only way to answer those questions is to ask more questions. But let’s be honest here, people aren’t asking me how long their blog should be because they’re reading my own personal blog. They’re asking me because I’m a marketer who specializes in BOTH B2B and B2C marketing strategy and they know I will be able to give them a good solid answer. And I can, with more information. In general, you need to understand your audience and your objectives. If you are a business blogger asking this question, chances are some where out there is your end goal of getting business. Depending on the type of business you have you may or may not get direct leads from your blog. In which case, if you don’t expect direct leads, then you have to understand who will read your blog and where, so that you can determine the length of time they are willing to dedicate to learning that you are an expert. That way, when they are looking to someone to turn to, you’ll come to mind. If you’re blogging to get general people engaged and increase your customer engagement, well, they should be short, because your customers are busy. More importantly, they should be engaging and relevant, but that’s not what you asked. The best answer I’ve heard for this question of “how long should my blog be?” comes from something I heard long before there were what we call blogs. It’s most applicable to all things marketing, and anything that involves getting people’s attention. Where l work we have only one editorial rule: No writing longer than an average person can read during an average crap. Understanding your audience, and the context in which they will come across your blog, defines the proper length of your blog. In order to reach your audience and get your message across, you have to think and understand.